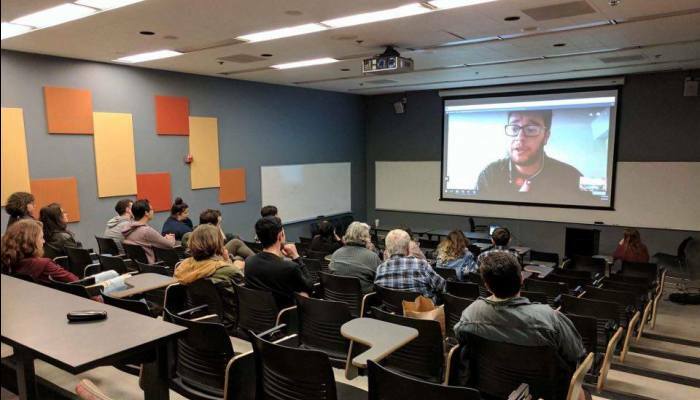 On March 9, “Listen To Me: Untold Stories Beyond Hatred,” PINK Armenia’s documentary film about the lives of LGBT people in Armenia, was screened at the University of California Berkeley. The screening was organized by the Armenian Students’ Association at UC Berkeley. After the screening, project coordinator at PINK Armenia, Kyle Khandikian, called in for a discussion about the situation for LGBT people in Armenia and to answer questions.